Warren Joyce is a genius, and after dropping the most popular player in Melbourne City’s history, he’s won the public relations battle now and forever. I’m just kidding, of course. City’s 3-0 win over the Newcastle Jets on Sunday evening will do little to paper over the growing fractures in the club’s façade. 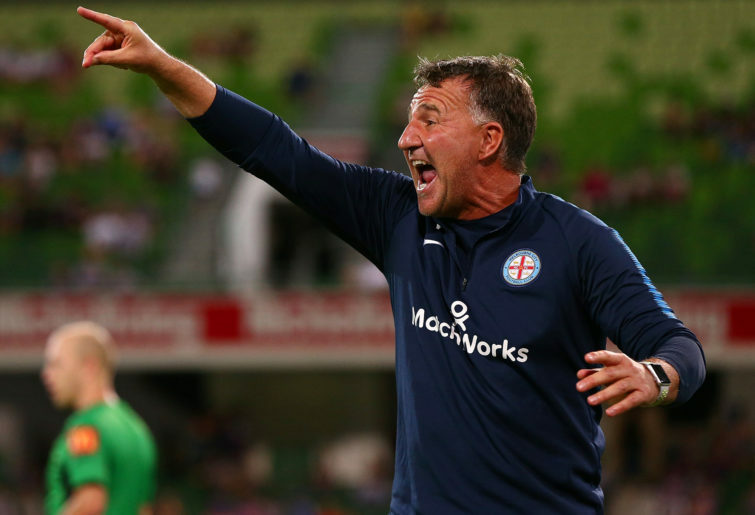 However, there are those who believe that the only way the A-League will prosper is if we all say something positive, so well done to Joyce for tuning out the noise and getting his team to play as if Sunday’s clash was business as usual. But for those of us who live in the real world – and ten years to the day since I started writing for The Roar, I’m still only interested in calling things as I see them – Melbourne City have a genuine image problem. Or perhaps we’re supposed to ignore the fact that a crowd of just 6,013 bothered to turn up at AAMI Park. And that City’s home end – the Melburnians – staged a protest during the game. And that their inaugural player of the year and subsequent club employee, Clint Bolton, bagged them on SEN Afternoons in the build-up to Sunday’s game. “It’s not a Bruno Fornaroli issue, it’s a Warren Joyce issue,” Bolton told SEN’s Brett Phillips on Friday afternoon. Tell us what you really think, Bootsa! The state of City’s plight was probably best summed up by commentator Brenton Speed when he revealed that Fox Sports’ live feed was being censored before being transmitted onto the big screens at AAMI Park. City, it seems, weren’t happy with images of Fornaroli sitting in the stands being beamed out to their disgruntled supporter base. “Credit to Melbourne City for still playing Happy Together” quipped Twitter user Declan Rooney of the club’s suddenly ironic walk-out song. For all the original concerns about City monopolising the A-League once the City Football Group bought the club, the opposite has essentially proved true. Instead of becoming an A-League juggernaut, City are nothing more than the bottom rung of a global chain whose focus is concentrated on Abu Dhabi and Manchester and New York. They’re Manchester City-lite – except without any Manchester City players. And Melbourne City’s irrelevance is exemplified by the fact that after more than 120 appearances for New York City, Spanish legend David Villa has found himself a new home. Is he going to add to his four loan appearances in the A-League? Of course not. He’s just joined Japanese club Vissel Kobe. If Fornaroli does ultimately move on – and it’s worth acknowledging that the Uruguayan was hardly a household name before City plucked him from Danubio – then the club should move heaven and earth to sign a genuine marquee striker. 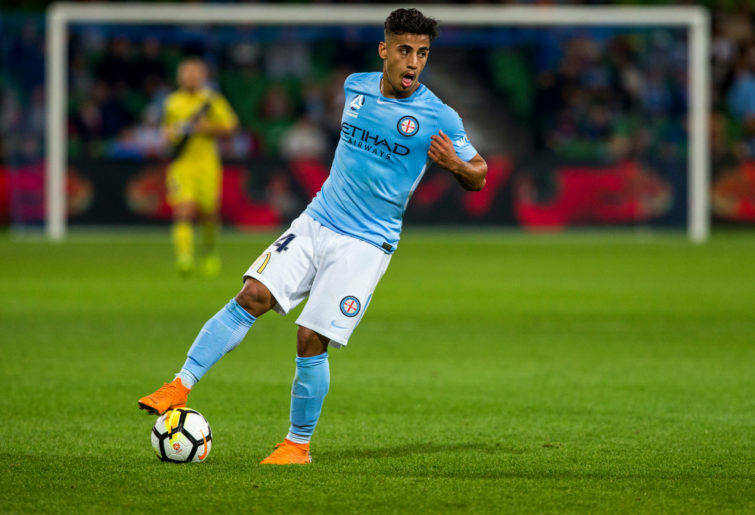 Because if they don’t, it will signal what many have long suspected to be true: that the City Football Group don’t particularly care about what’s going on in Melbourne – unless, of course, they can move on more players like Aaron Mooy and Daniel Arzani. Full credit, at least, to the likes of Riley McGree, Luke Brattan and Lachlan Wales – who all scored superb individual goals against the Jets. It’s just a shame so few people saw them. Quite a few more will have watched Melbourne Victory thump Western Sydney Wanderers 4-0 on Saturday night, and Keisuke Honda’s post-match interview arguably summed up the difference between the two Melbourne clubs. When asked by Michael Zappone why he continued to press in the 92nd minute of the game, Honda summed it up perfectly. City were entertaining enough against the Jets. But right now they resemble a club ready to throw their full support behind the captain of a sinking ship.